This model is a dark stained cabinet and matching handles that is sure to match your decor. Brought to you by Berner who is known for pool table designs, this offers an aesthetic appeal that most tables just can't measure up against. 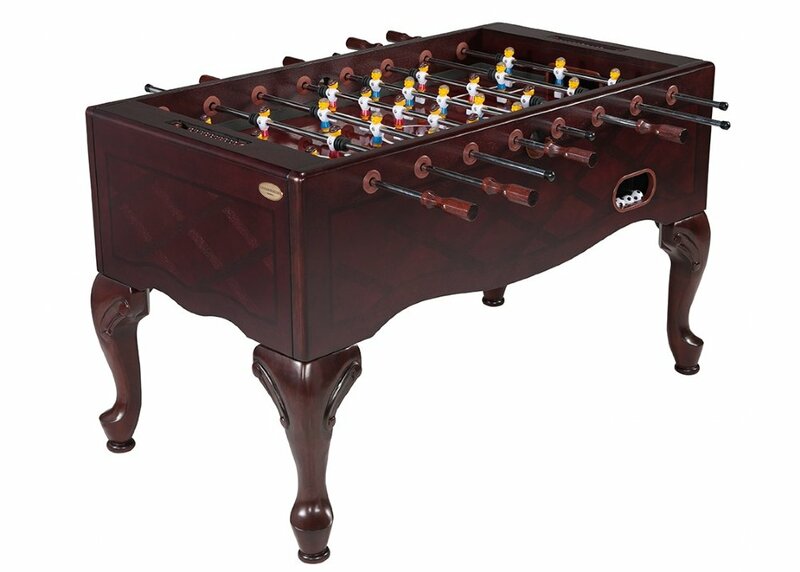 However, if you are looking for true game play, we have yet to see a furniture grade table really hold up to the tables designed for pure foos.